* Includes handy cross referencing that lets you look up an attribute (or object property, method, or event type) to find all the items that recognize it, including interrelated HTML tags, style properties, and document object model methods, properties, and events. * Offers appendices where you can quickly locate values useful in HTML authoring and scripting. You'll find coverage of commands used across three browsers for user-editable content. * Includes a glossary that gives you quick explanations of some of the new and potentially confusing terminology of DHTML. 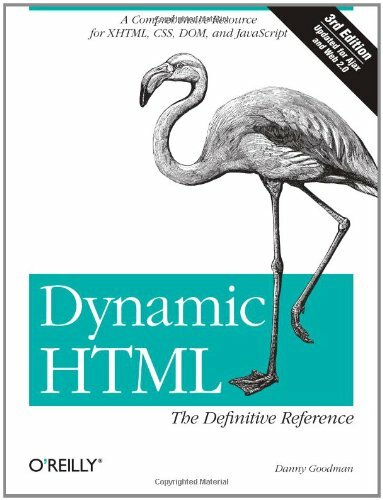 Dynamic HTML: The Definitive Reference speeds the way to adding sophisticated features to your web pages. Indispensable, complete, and succinct, this bestselling guide is the must-have compendium for all web developers involved in creating dynamic web content.